My post a few weeks back about the markets of Marseille made me think about a couple of things. 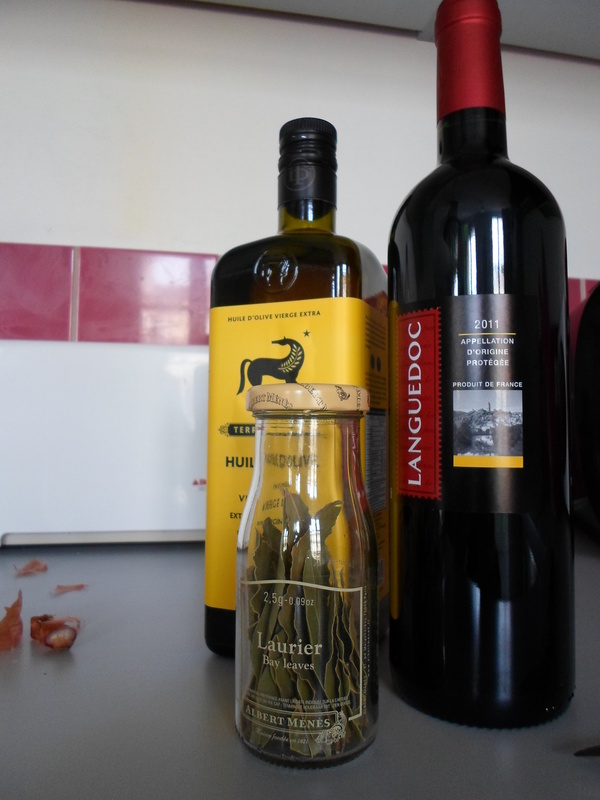 The reminder of the amazing range of spices, flavours and smells; so foreign to the traditional French style of cooking, made me think about the flavours of my childhood. I grew up with an eclectic mix of flavours and cooking styles – like most of New Zealand, and trying new dishes from exotic cultures was not an uncommon occurrence. There is one dish that does stand out in my memory particularly, and that is peanut satay. 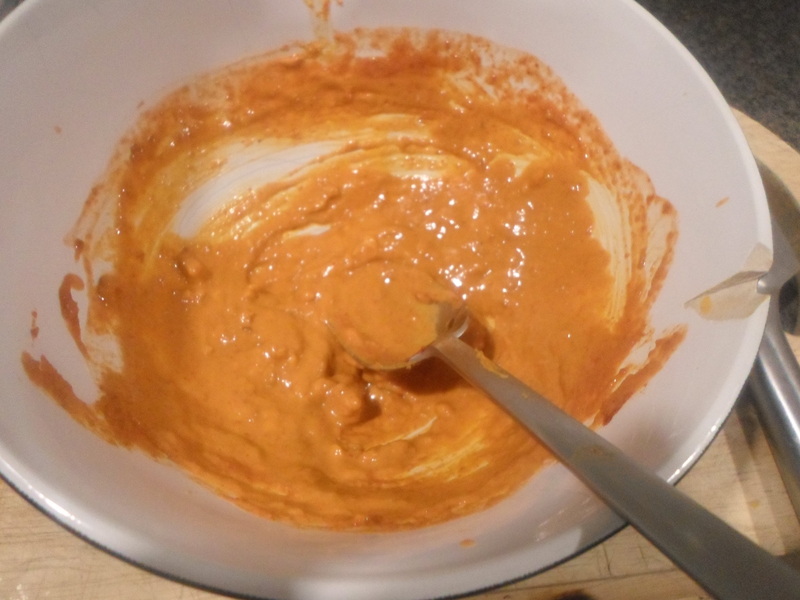 Until last week, I didn’t realise how much I missed this mildly spicy, nutty sauce with its rich, dark-yellow, turmeric-induced colour. So I decided to make some, for this instalment of Chippie Tuesday. The French are not known for their tolerance of spicy food – far from it in fact, and when the nation has a love affair with sweetness that runs as deeply as it does here, the thought of eating salty peanut butter for breakfast is so unimaginable that it is almost impossible to find decent peanut butter anywhere. So I sacrificed a tablespoon of my dwindling stock for this recipe. Mix a teaspoon of turmeric, a tablespoon of peanut butter and a tablespoon of red curry paste with a healthy drizzle of olive oil and another drizzle of warm water. Briskly mix until you have a consistently smooth paste – the only lumps should be the bits of peanuts… unless you’re using smooth peanut butter, which you shouldn’t be doing, because crunchy is where it’s at. Peel and hollow out half of a small pumpkin, half it and slice into thin slices, as thin as you can get them – a mandolin with make easy work of it, or a sharp knife will suffice. As you may have noticed recently, I am a bit addicted to pumpkin, obviously any root veg will do; potato, sweet potato or even carrot. Toss the veges through your sauce until they are all nice and coated, distribute them evenly over a baking tray and bake at 180°C until crisp and golden, rotating every once in a while; this will take about 30 minutes. The beauty of this recipe is that you don’t really need to prepare any sauce to go with them – they are baked in the sauce! However, if you are like me and didn’t judge the levels of spiciness too well, you might want to prepare a little yoghurt sauce or cucumber dip to cool things off a little! Anyone who has never visited Europe often makes the very common misconception that everyone in France spends at least a portion of their day wandering around a farmer’s market. The sun is shining; no matter what time of year, every second stall sells homemade cheeses, someone has bought their chickens which are laying eggs right in front of your eyes, you shout slightly over the clucking while bartering over a bunch of earthy carrots, you take your change from the farmer’s wife’s rough hands before running home to chop up the carrots and throw them into your boeuf bourguignon. Don’t get me wrong; French famer’s markets are exquisite, and while there are some that are open every day, most happen once a week and most people; the city folk in particular, get their produce from the supermarché. When I first arrived in France, I too was under the impression that I would be able to buy vegetables that still smelt like soil right outside my front door, but sadly the closest I got was an open-air garage sale selling secondhand skirts and tacky jewellery around the corner from my apartment disturbing the peace on Tuesdays and Thursdays. Being an expanse of green pastures, New Zealand has its fair share of pretty remarkable farmer’s markets so I have made it my mission to visit as many markets as I can around Europe looking for something comparable that I can add to my list of foodie must-sees. After getting off to a bit of a rough start, I would soon find something not too far from my front door. 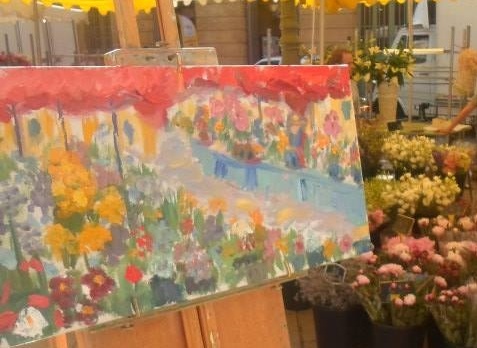 Le grand marché in Aix-en-Provence is every Tuesday, Thursday and Saturday mornings, people come from all around to shop, eat and absorb the atmosphere; especially on Saturdays, which are by far the busiest. 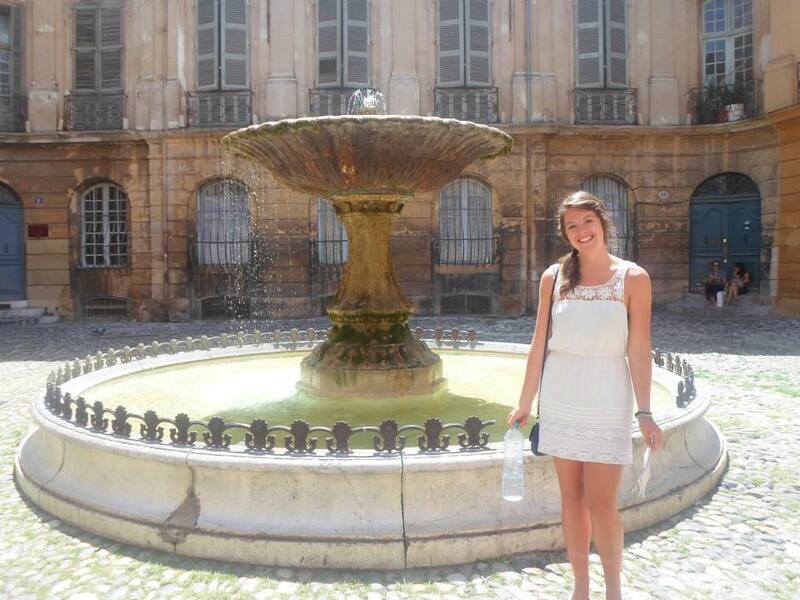 Aix-en-Provence is a picturesque rural town in the Bouche-du-Rhône region of Southern France and its geological placing makes for a sensually overwhelming variety of fresh, artisanal products. 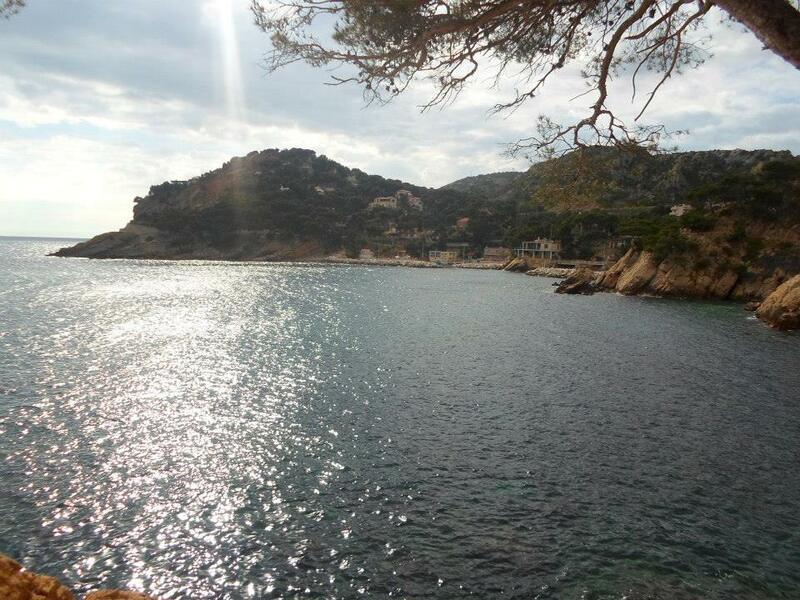 The city itself is a mere stone’s throw from the banks of the Rhône river, just 30km from Marseille, you can count that any fish at the market will be freshly caught, and the olives, grapes and vegetables are grown on the sun soaked plains that surround the city. 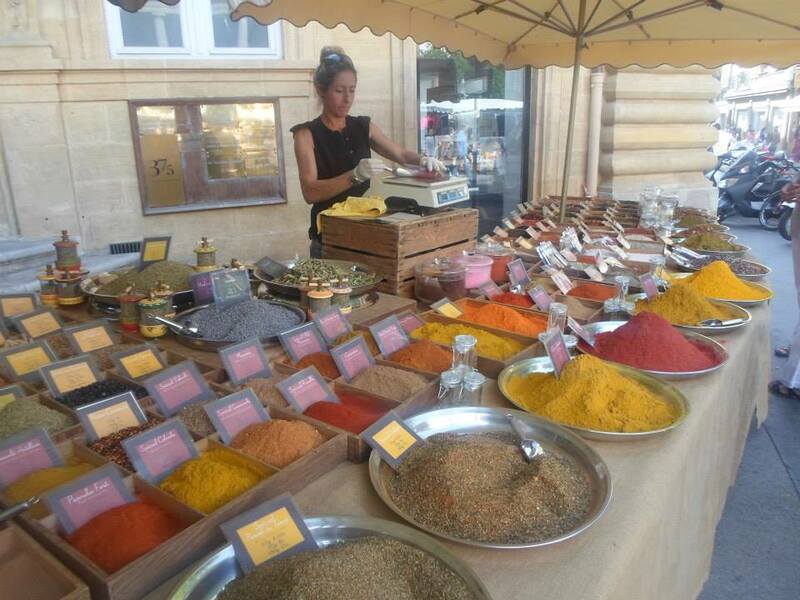 The Aix-en-Provence markets are not something you just pop down to to pick up a few things, it really is a whole day event! Roads are closed, squares are packed with as many stalls as they can fit and everyone wanders at their leisure. The warm Mediterranean air mingles with the pollen of the bright flower bouquets, fresh bread and cured meats, creating an intoxicating aroma almost too good to imagine. We began the day early. Walking out of an ancient stone corridor, we were greeted by mounds of exotic spices, all different shades of an autumnal rainbow piled in neat little rows. Past stalls of old records and paperback novels, we found what we had come for: food! And what a variety of food there was; four of the main squares were condoned off and filled with row upon row of vendors. We wandered for the rest of the morning, our eyes as big as our stomachs as we tried any sample we were offered; bread, salami, cheese, fresh fruit, sundried tomatoes, stuffed olives and roasted nuts. By the time we had tried everything, fearful of missing any morsel, we were faced with the challenge of choosing what we wanted to buy for lunch, only to realise that we were so full that we didn’t need lunch. After a bit of sightseeing- the cathedral is dauntingly beautiful and constantly filled with the sound of the organ echoing off the dimly lit stone walls- we settled on a capsicum relish, a crunchy loaf of bread and a chunk of gooey cheese. It is fair to say that we had a well-deserved nap on the train home. For me, the Christmas cooking always begins days in advance, and this year is no expectation. I haven’t even begun with the actual dough, but I have successfully created some brilliant red roasted almonds. It is actually really easy. 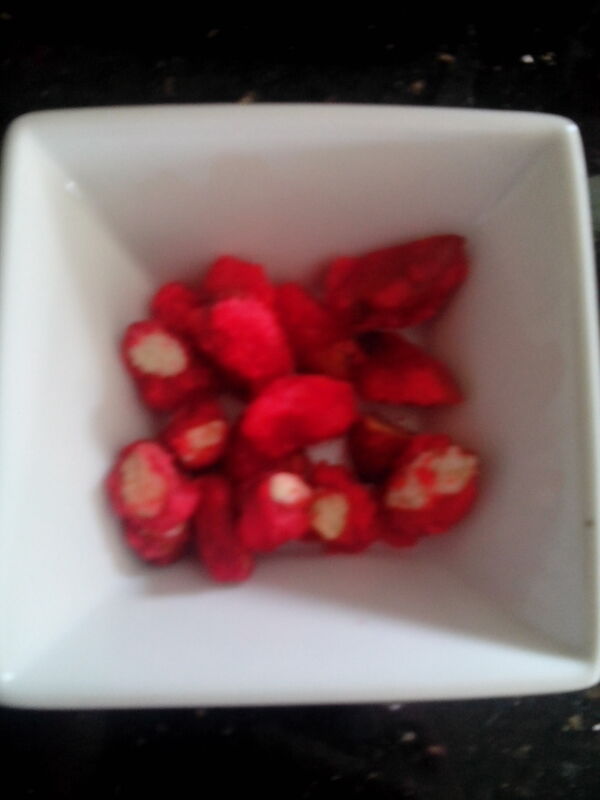 Just take 100 grams of almonds, they should be blanched and can be skinless or skinful depending on what you can find and whatever you feel like using. Mix 40mls of water and 100 grams of sugar in a pot and bring to the boil. Don’t stir the mixture but swirl it every once in a while until the sugar has dissolved. Keep it boiling until it reached 135degrees; if you don’t have a thermometer, just guess when it looks like its kinda hot. Take it off the heat, stir the almonds in and scatter on a baking tray to cool. Mix another 40mls of water and 100 grams of sugar in the pot and add a bit of red or pink food coloring. 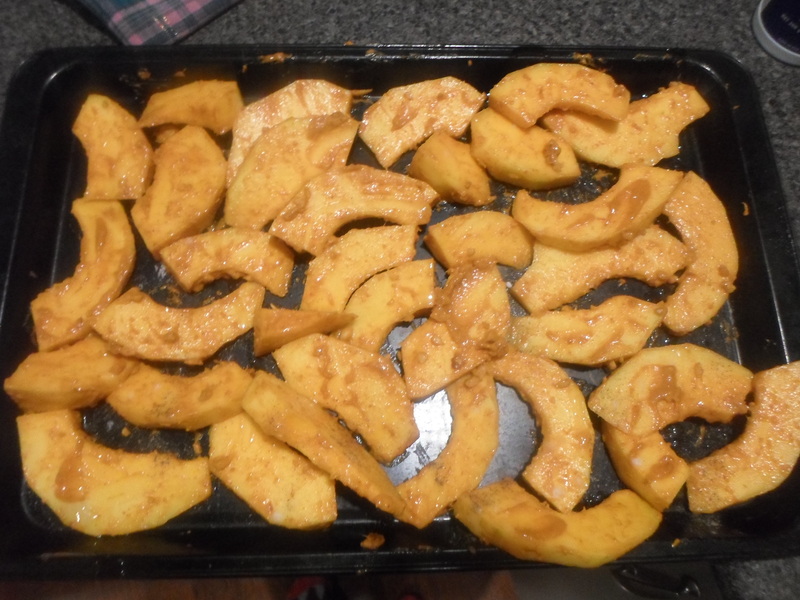 Repeat the process and leave the almonds of the tray to cook before cutting them up roughly. Stay tuned to see how the hard part; the brioche dough, goes, and everything else on my Christmas menu! Some friends of mine came over from England last week and they spent a couple of days staying with me. I woke up one morning to find that they had gone out to buy breakfast. They had all the essentials; croissants, nutella, eggs and milk. 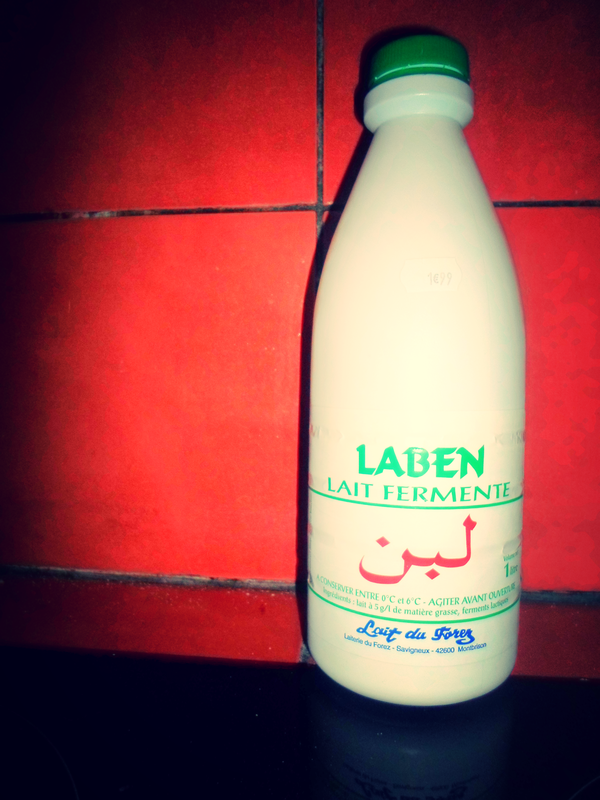 However, the milk they had bought was not actually milk, it looked like a milk bottle and it did say LAIT on it but it was in fact ‘lait fermenté’; fermented milk which also called acidified milk and very similar to buttermilk. 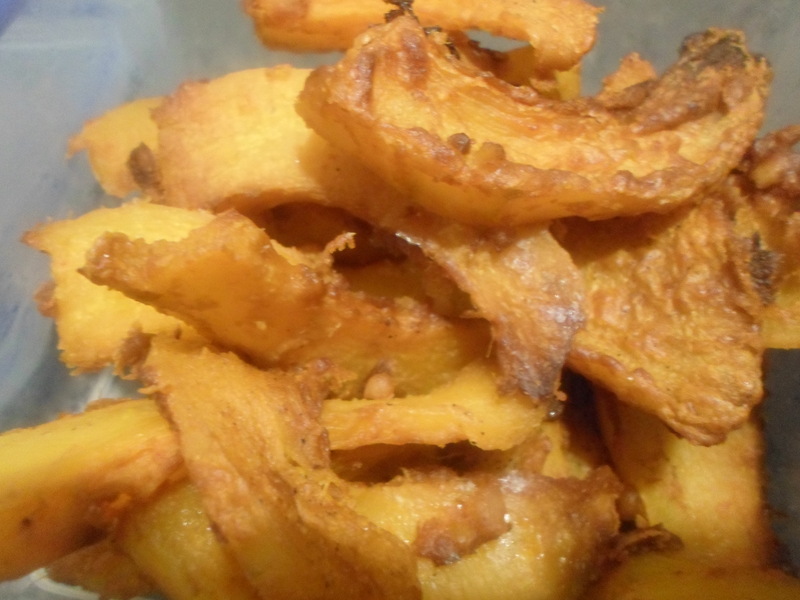 It has the consistency of cream, the taste of unsweetened yoghurt and does not go nicely in a cup of tea. So, that was a bit of a fail, but seeing as the bottle was not in English, or even really in French and we don’t speak Arabic, they were forgiven. 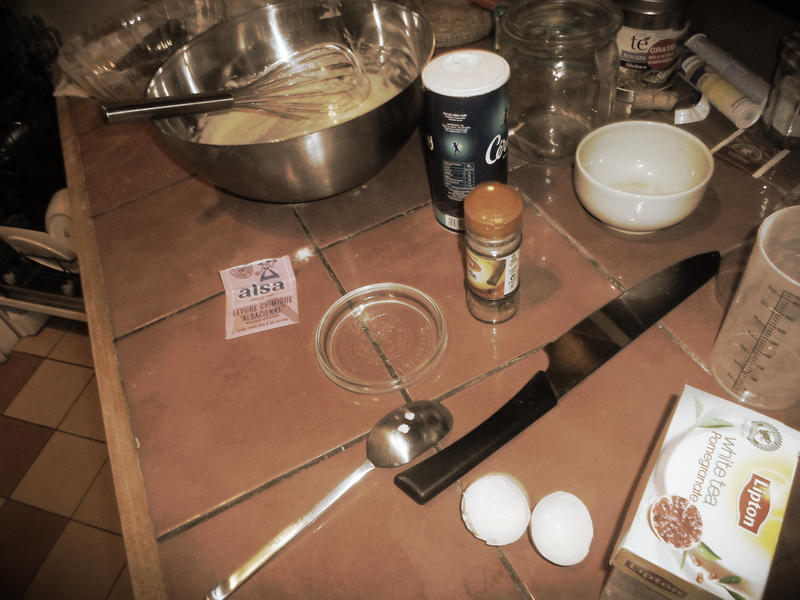 Not wanting to waste it, I got a-searching on marmiton.com for some way of using it; the easiest thing being pancakes. 480 mls of buttermilk or fermented milk combined with 2 eggs, 250 grams of flour, a teaspoon of baking soda, 60 grams of sugar, a pinch of salt and a large teaspoon of melted butter should do the trick! Mix the wet ingredients together. I added a bit of cinnamon too. 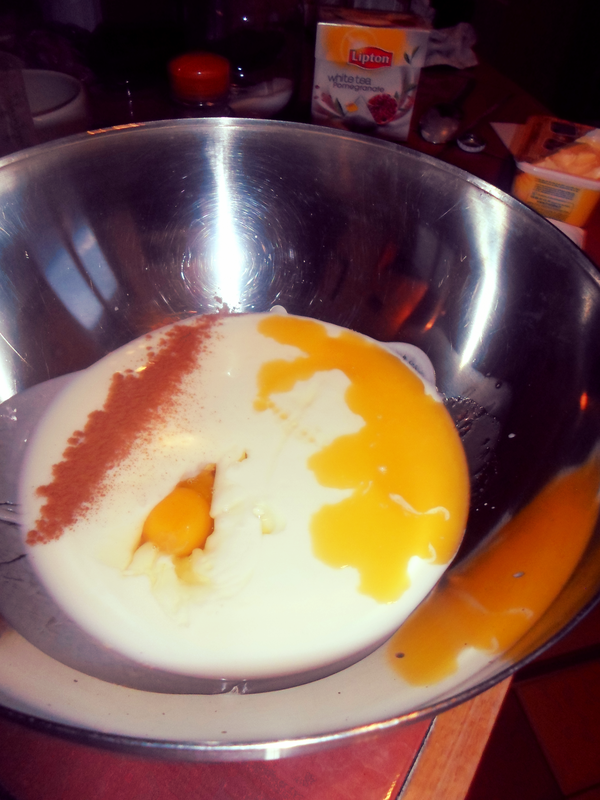 Slowly add the dry ingredients, sift them to add fluffiness and combine until you have a mix unlumpy batter. Now take a moment to clean the kitchen slightly because it will probably be a mess. This all seems pretty simple, but during the time I was making this I came up with a few tips to perfect the whole thing, and most of it can really be applied to life in general. – Life is full of disappointments: This is probably something that a lot of people apply to a lot of situations, I am applying it to pancake batter. This recipe said that it would serve four, it did not. It probably created half a meal for three of us, so double or triple it, unless you are mice. It would probably be four servings for mice. – Be prepared: Ingredients are important, having the right ingredients is also important so make sure you have the right ingredients before you begin. Because they are all relatively essential. – Stay calm! : If it is all going wrong as you’re trying to flip them, if you can’t help but smoosh them up a little, don’t stress out or it will just go more wrong. Stay calm and cool, and that applies to the pan too, don’t make it too hot. – Good things come to those who wait: Yes, I know, probably a little overused but it’s true. Having to cook one pancake at a time means that you’re going to be there for a while but don’t try and rush it. If you think that it’s time to flip it, it probably isn’t. wait until the bubbles on top have burst and then some. A little crispy on the outside is a lot better than raw on the inside. – Always own a good spatula: If your spatula is anything like mine you will want to punch yourself in the face. And that is a feeling you should always try and avoid. After all this stress, you will hopefully be left with a nice batch of yummy goodness. 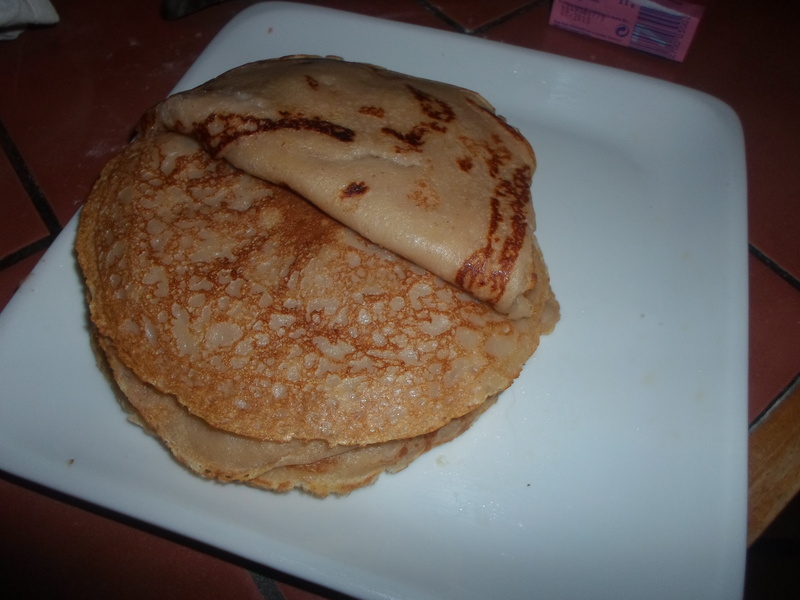 There was one other thing that I learnt in this experiment: I flippin’ hate making pancakes. So find someone who likes to make them, and is good at it, and keep them! Yesterday I tried my hand at making “terrine forestière”, which is french for “picnics are fun” (it’s not really). 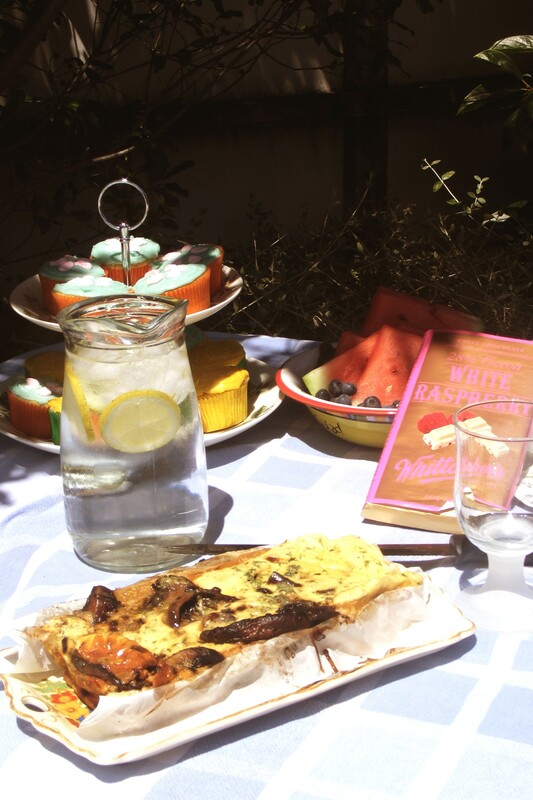 I then took my marvelous dish to my pique-nique d’été; which is French for summer picnic (this time I’m telling the truth). I would know this as the recipe I used is from my Christmas present, a cookbook called ‘La petite cuisine à Paris’, which is completely in French. 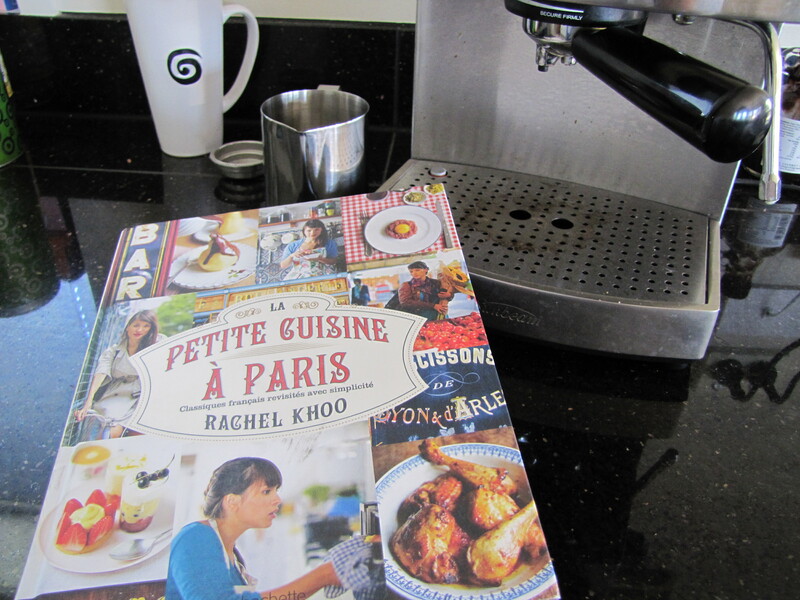 It’s written by Rachel Khoo (www.rachelkhoo.com or @rkhooks on twitter), she is an English chef who moved to Paris to discover her culinary dreams and it’s an amazing book! This recipe sticks true to the French motto of ‘take some ingredients and mix them with a tub of crème fraîche.’ You will also need four eggs, 400grams of wild mushrooms (or the tame kind from the supermarket), a finely diced onion, a few cloves of crushed garlic, two spoonfuls of Dijon mustard, about a handful of fresh parsley and a pinch of nutmeg… which I forgot.. woops! Start off by lining a large loaf or casserole dish with baking paper and turning the oven on to 160°C, easy enough. Melt a few knobs of butter in a pan, side note: is a knob of butter an actual measurement? !, and fry off your onion and garlic until golden. Slice your mushrooms in half, you still want them to be reasonably large so if they are small then skip this step. Basically you want them all to be about the same time so they will cook evenly. Now add them to the pan and cook until they have released any water they have retained; about ten minutes. This gives you just enough time to make the batter, or to talk to the travel agent about your visa (an exciting yet awkwardly timed phone call). Whisk the remaining ingredients together (this includes your tub of crème fraîche) and add as much salt and pepper as you desire. 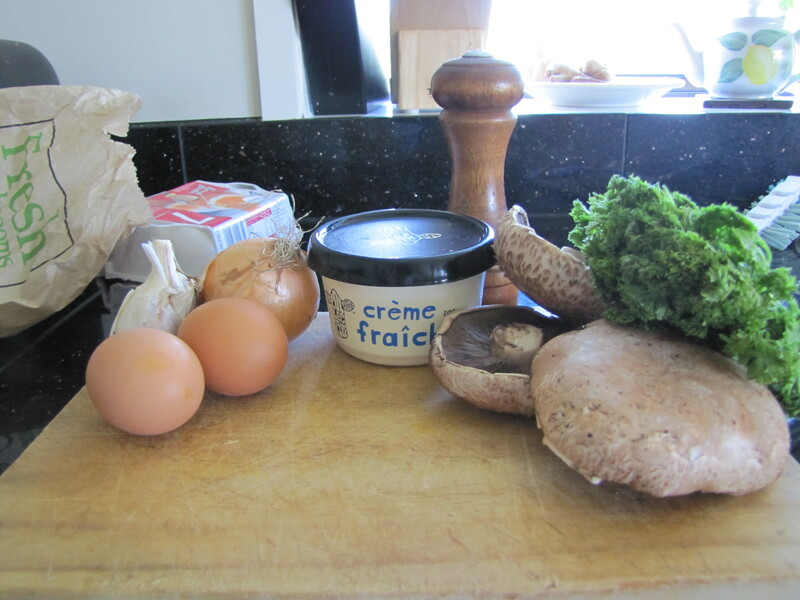 Place the mushrooms in the dish and pour the crème fraîche mixture over top. Pop it into the oven for 30 minutes, alternatively you can split the mixture in half and cook in two smaller dishes which should only take 15 minutes. 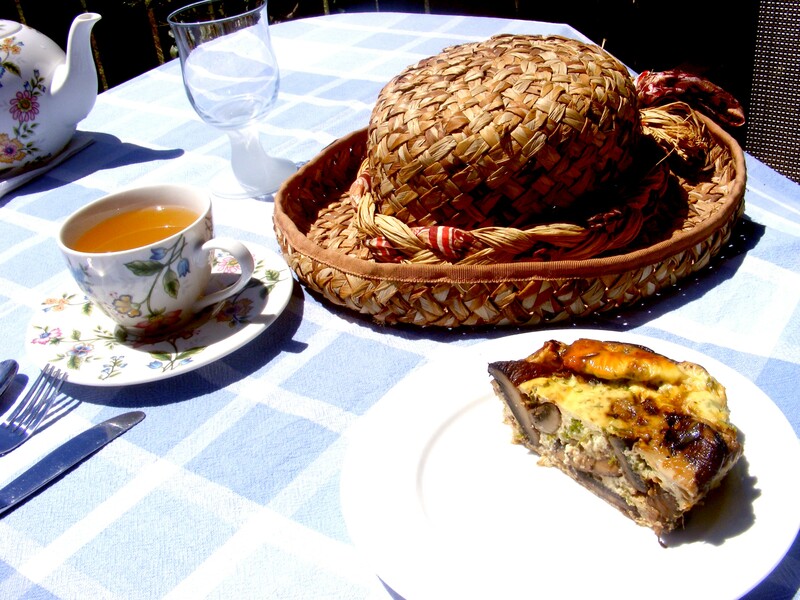 Its best eaten warm so after leaving it to sit for a bit post-cooking, it will be at the perfect temperature after you have packed the picnic hamper, found your summer hat and headed off to the park! Bon appetit! 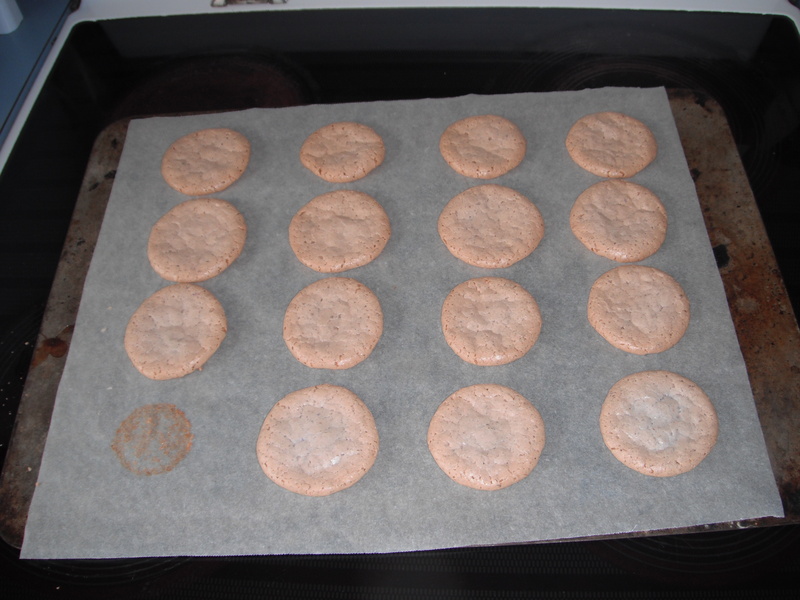 Macarons were first made by in 1791 and since then they have become a quintessential French dessert. You can also fund a collection of other recipes online (word of advice: use a French person’s recipe and not an American adaptation). Step One: turn your oven on. Each oven is different so after several attempts you should be able to figure out the ideal temperature of yours; between 140° and 160° Celsius. I went for 160. NEXT: whisk the icing sugar and almond meal together until they are combined. In a separate (and slightly larger bowl) combine the egg whites and salt with an electric beater on medium speed until foamy. The people in the know on the World Wide Web say plastic is a no-go, so make sure the bowl is stainless steel. Add the granulated sugar and mix on high until it forms stiff peaks (google it if this sounds completely foreign to you!). 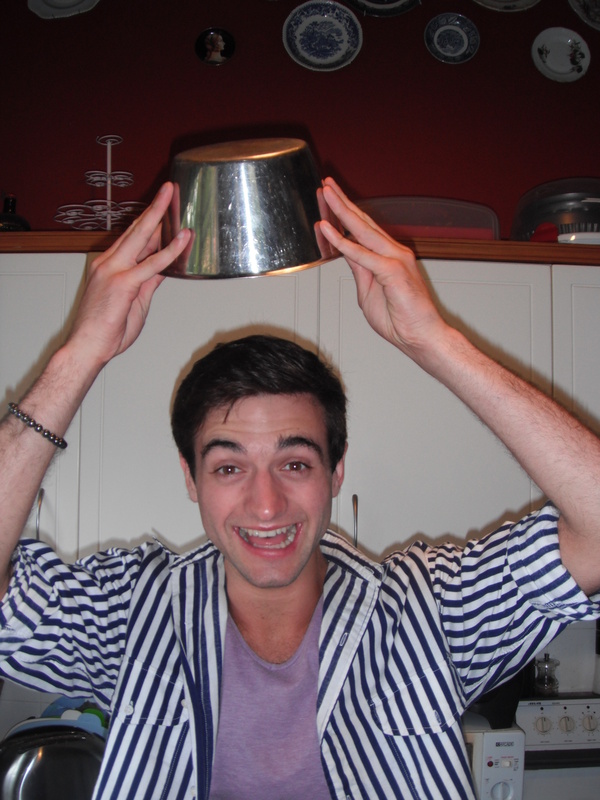 You know it’s ready when you can move the bowl without the mixture moving, or for the more adventurous, until you can hold the bowl above your head without wearing it. At this point you can add color if you so desire- powder or gel is best as liquid messes with the consistancy. 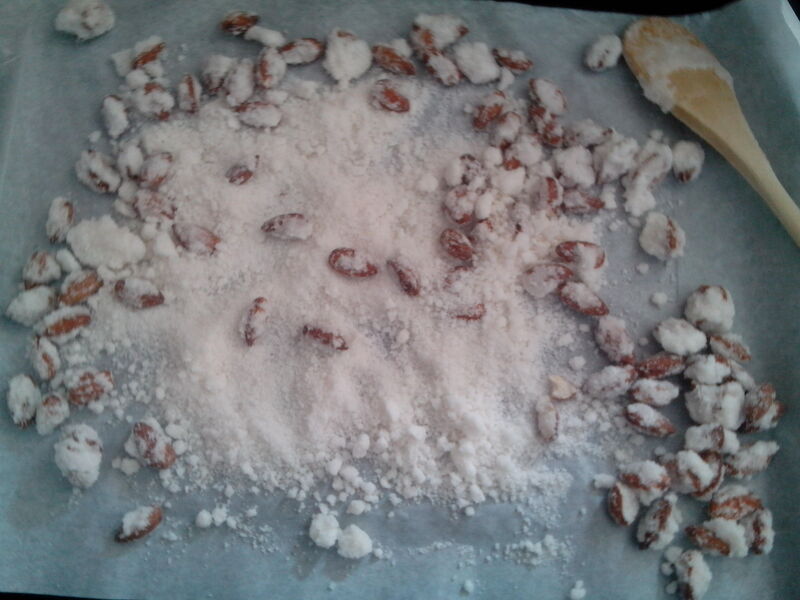 Fold the icing sugar mixture in as lightly as possible, it should take about 50 folds- count it if you feel like it! 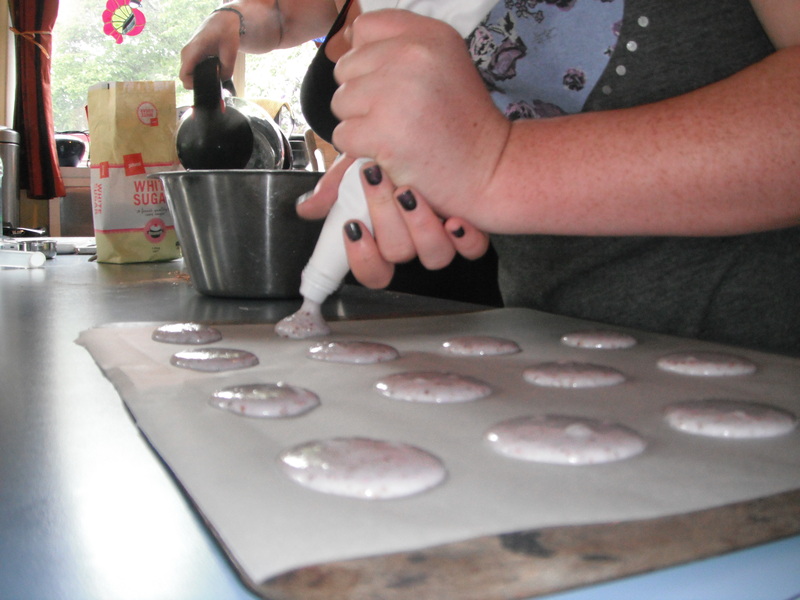 With a round nozzled piping bag pipe inch wide circles of mixture two inches apart onto a parchment-lined baking tray. Leave them to sit for 20-40 minutes until a thin film forms on top (this is why they don’t like the rain as ours wouldn’t do this). Now it’s time to pop them in the oven! Like I said, each oven is different so cooking times will vary- I recommend trying about 10 minutes as we cooked our first batch for 15 and instead of being crunchy on the outside and chewy on the inside, they were just crunchy. everywhere. 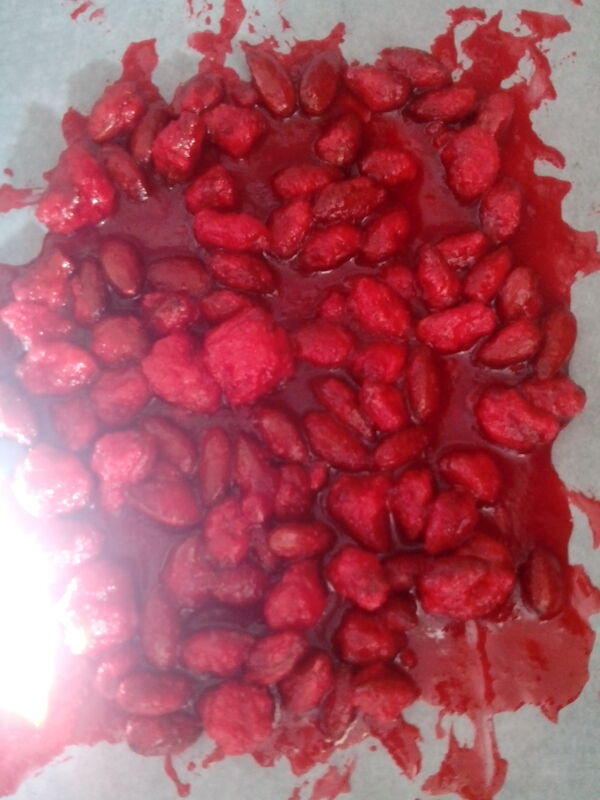 When the timer dings take them out and let them cool- now is the perfect time to make your filling. You can use anything, chocolate ganache, jam, cupcake frosting etc. I used pink raspberry flavored buttercream frosting. When your cookies have cooled, match them up into pairs of the relative same size. Spread about a teaspoon of filling onto the bottom of one of them and sandwich together before refrigerating them to set (an hour-ish). IF you have cooked them right they should have doubled in height and have a little ‘foot’ around the edges. I would direct you to a photo of ours to see this but that didn’t happen… I blame the rain! But here is our finished product regardless. All in all I don’t think today was a COMPLETE failure, they were edible and delicious, and not totallyyyyy ugly… But there is definitely room for improvement and I WILL PERFECT THEM!! And besides, even David Lebowitz took seven attempts before he was satisfied!